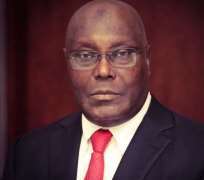 The leader of Atiku Transformation Movement ( ATM), Prince Emmanuel Ogba, has said that after the tenure of Alhaji Atiku Abubakar, the presidency would move to the South East Geopolitical zone of Nigeria. Ogba stated this Monday in an interview with newsmen in Port Harcourt. He urged the Igbos not to relent but to work hard to ensure the victory of the Presidential candidate of the Peoples Democratic party ( PDP).
" Several efforts have been made at the Presidency in the past, but unfortunately, these attempts failed.
" This time around, every well meaning Nigerian would support the actualisation of the Igbo Presidency when the Atiku's tenure is over",he said. The ATM National President, said that will give the Igbo's in Nigeria a sense of belonging which is the reason behind several agitations.
" It is a good thing that the aspiration of the Igbos will be actualised in this generation after several failed attempts.
" Igbo Presidency project will be the responsibility of all of us to actualise". Ogba therefore called on people of the South East to vote for Atiku massively in order to take the presidency. According to him, the people of the South East has equal stake like people from any other parts of the country.
" Atiku's government is anchored on equality of opportunity to all Nigerians and would guarantee the realisation of the dreams of people of South East to rule the country instead of remaining perpetual complainants and agitators.